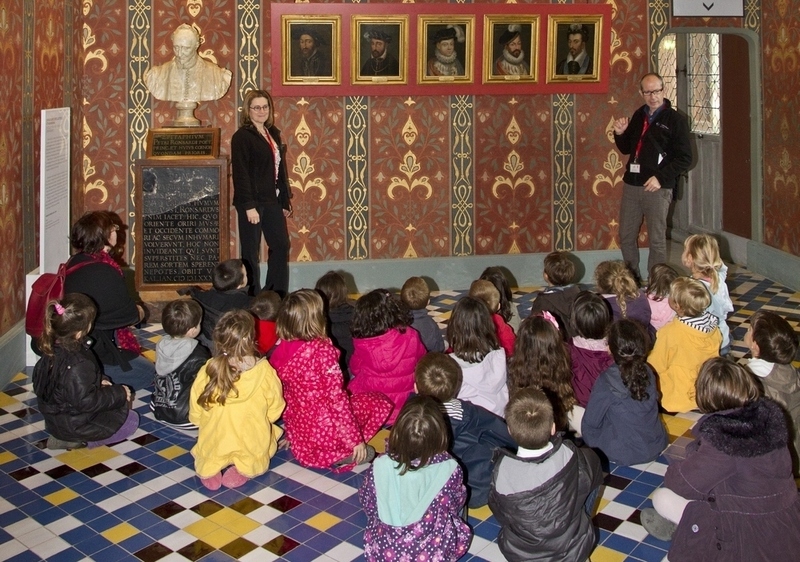 The Royal Chateau of Blois welcomes school groups of all ages for visits and educational workshops. 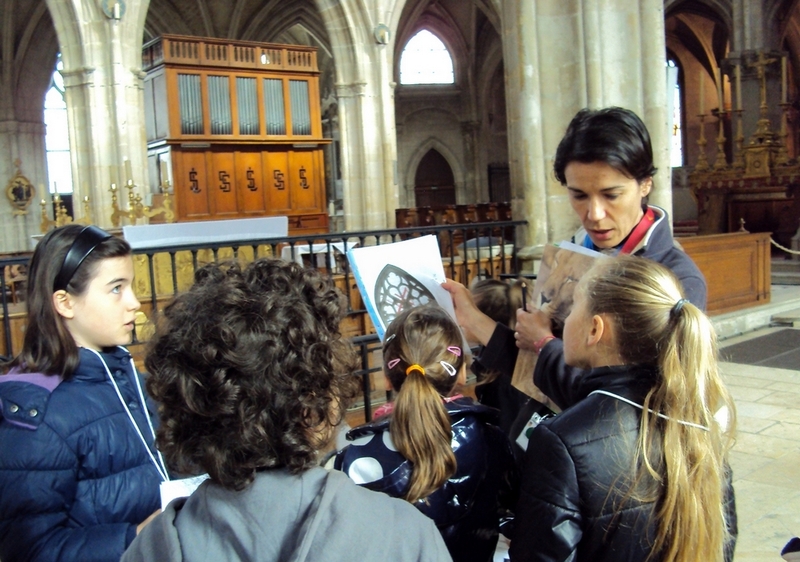 With activities tailored to their levels and to their school programs, young visitors have the opportunity to discover not only the heritage of the Chateau and its museums, but also the town of Blois. The educational team is at your disposal to help you set up a specifically targeted project, be it specialized or interdisciplinary, whether it involves a single session or partnership development, particularly in the framework of art history teaching. 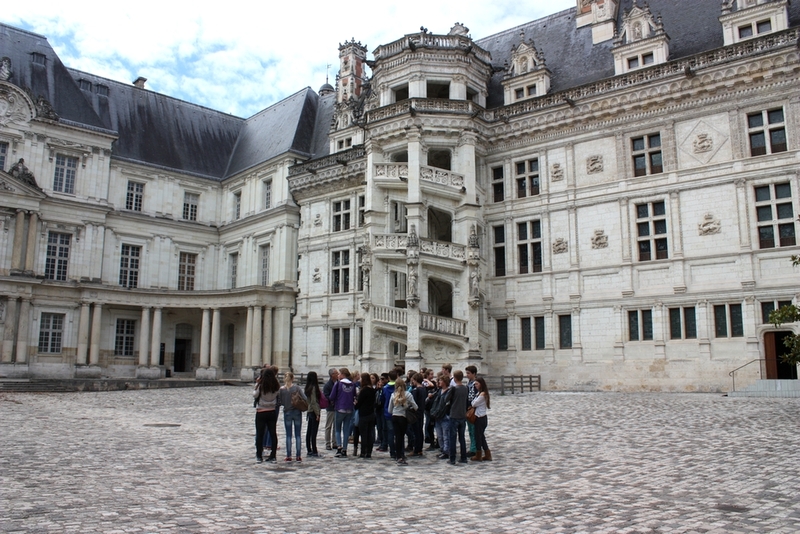 Classified as a historic monument since 1845, the Royal Chateau of Blois presents a panorama of the art and history of the Loire River chateaux. Surrounding the courtyard, the four wings provide an instructive example of the development of French architecture from the 13th to the 17th centuries. With its diverse styles, the edifice tells the story of seven kings and ten queens while highlighting the power and illustrating the daily life of the royal court in France. 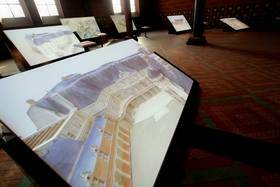 All of our discovery tours are available in 6 languages. 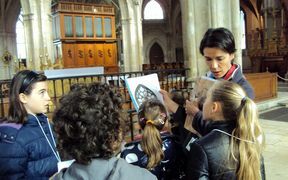 20 mn, first to get acquainted in the courtyard with the history and architecture of the Chateau, and then to continue the visit unguided. 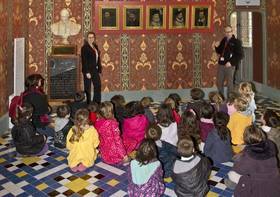 Since 1869, the 1st floor of the Louis XII wing has hosted the Fine Arts Museum of the town of Blois. 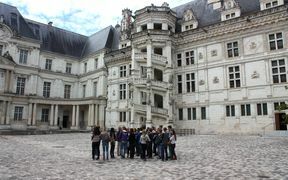 A tour of today's museum is designed to complement a visit to the apartments of the Francis I wing, which are evidently connected with the Chateau's royal past and the life and times of the court. To all educators at whatever level: The organization of your visits can be simplified by the "turnkey" sojourns proposed by the town of Blois. Its partner organ, the regional youth and sports center (CRJS), has developed offers for accommodation and educational activities. 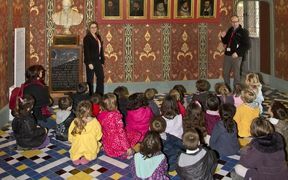 For short stopovers, for school visits with overnight stays and for cultural heritage classes, the expertise of the CRJS will help you to build a tailored program taking into full account your educational objectives and your budget. Our town discovery visits are available in 6 languages. For more informations contact our educational team. 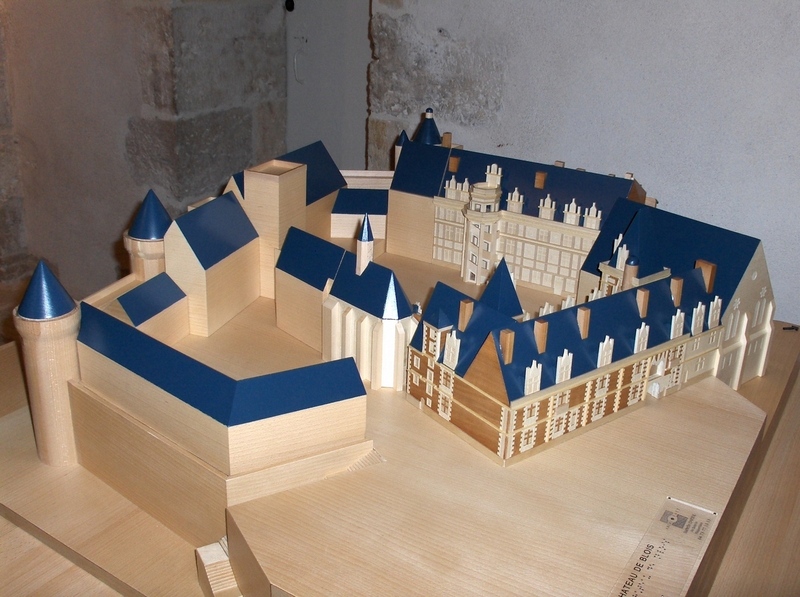 The Royal Chateau of Blois open every day of the year, except on 1 January and on 25 December. After the reservation is completed, the organizing teacher will receive, on request, an invitation allowing him or her to visit the Chateau free of charge, when he or she wishes, in order to prepare for the visit. Lockers at the disposal of visitors for backpacks and bulky bags, which are prohibited during the visit of the Chateau. In application of the Plan Vigipirate (anti-terrorist security plan), luggage are not allowed. The cloakroom is closed. The Chateau’s team is not authorized to keep the personal effects of the visitors. Please accept these security arrangements, they are set up to assure your safety. Picnicking is forbidden on Chateau grounds. 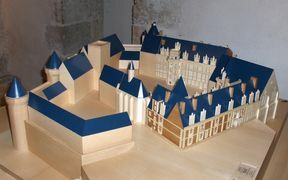 The tactile and evolving model of the château of Blois offers schoolchildren a chance, after having closely studied the castle's architecture, to reconstitute the edifice over the course of time.